CatDV Server is our powerful network-based collaboration and workflow product that allows users to work together on large projects. Secure central repository for shared catalogs. Complex searching across all catalogues in the repository. Central management of user settings to ensure a consistent user experience and allow an administrator to control which functionality is available to different groups of users. For example logging staff might be given access only to logging features and nothing else. Optional license server functionality avoids need to enter licenses on each client workstation. 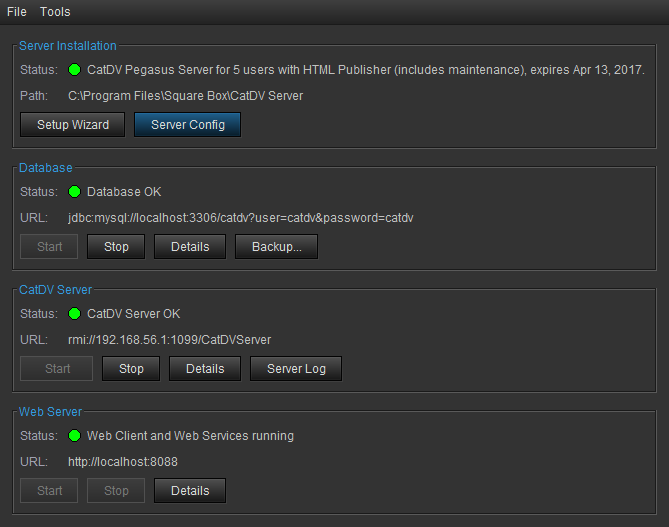 Supports MySQL, Oracle and Microsoft SQL Server. Optional LDAP Integration allows users to connect with their existing credentials and eliminates the need for separate user management.